Asheville Mayor Esther Manheimer has announced she’ll be seeking a second term as mayor in this year’s elections. 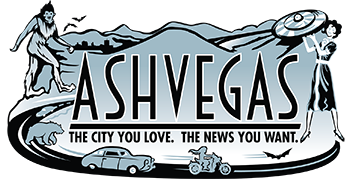 There are four Asheville City Council seats up for election: Manheimer’s, as well as the seats now held by Gordon Smith, Gwen Wisler and Cecil Bothwell. More background on who’s lining up campaigns here. Mayor Esther Manheimer announces today her run for re-election in the November city elections. Esther was elected Mayor in 2013–a race in which she received 68% of the popular vote. Prior to that, she served four years on City Council, including two in which her fellow council members appointed her as vice-mayor. Asheville’s Mayor is elected to serve a four-year term. “I look forward to an energetic re-election campaign; it will again be an opportunity to engage deeply with our citizens in dialogue about what we value,” she continued. Manheimer has been active advancing Asheville’s cause at the state government level. She is beginning her second year as chair of the North Carolina Metro Mayors Coalition, an organization representing North Carolina’s 28 largest cities. By maintaining focus on the people of Asheville and the beautiful environment that provides a great quality of life, Manheimer has tackled the challenges of managing Asheville’s growth, as well as leading the city in the face of political tension at the state and federal levels. “In addition to providing basic services, such as public safety, street repair, transit service, parks and recreation, among others, our city must maintain its strategic focus on affordable housing and preserving Asheville for the people that live here while supporting a vibrant economy,” she said. A long-time resident of Asheville who graduated from Asheville High School, Esther is an attorney whose focus is practicing land use and commercial law. She is married to Mark Harris, a public high school teacher and wrestling coach. Together they have three sons; their sons attend Asheville City Schools. The municipal primary election date is October 10, 2017. The general election is November 7, 2017. In addition to the Mayor’s seat, three Council seats are up for election.